13th March 2017 - BODIE 3.7 . you'll never walk alone ! I love it! 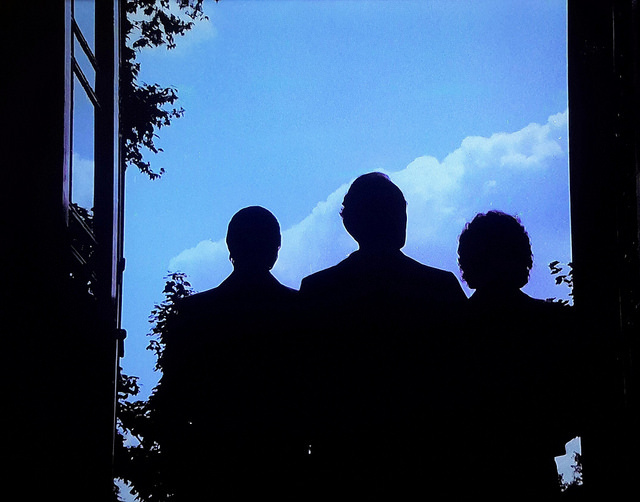 Those silhouettes are unmistakable! i love this shot from the opening sequence and have only just been able to catch it and then enhance it so that it can be seen clearly , it goes by so quickly . Thankyou for looking at it . cheers , i have only just managed to catch this image from the opening scene as it goes by so quickly and then had the chance to enhance it . Thankyou , i am overjoyed that this works for you and thankyou for taking a look . Oh, this is fabulous! Well done - a truly great shot! Thankyou, i'm so pleased that you like it and thankyou for looking at it . Thankyou , i am just pleased that i manage to capture it the way i did and with a touch of enhancing ...well i'm glad you like the end result. Thankyou , i am so pleased you like the finishing result on this image and thankyou for taking a look. It's a really lovely edit.